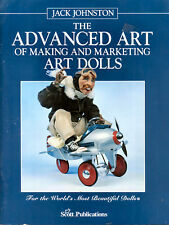 Advanced Art of Making and Marketing Art Dolls ~ Jack Johnston OOP~ RARE! 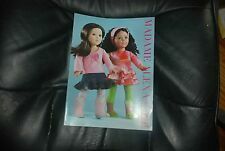 Madame Alexander Dolls SALES FLYERS on DVD ~ 1955-1979 MA Catalogs ~ 20+ Years! Legacy of Antique Lily French Fashion Doll by Jeanne Perrone. It is an original, not a copy or reprint. A great reference for doll collectors, dealers, owners and historians. Over the years they will provide facts not available on the open market. Title : Dolly Dolly Vol.30. Language : Japanese. This book is a secondhand book. Condition of Jacket :Fine. (New / Excellent / Fine / Good / Poor). Book Size : Height 10-7/8" ,Width 8-1/4". Full-Scaled Pattern is written in this book. A great reference for antique A.T. Thuillier doll collectors, dealers, owners and historians. 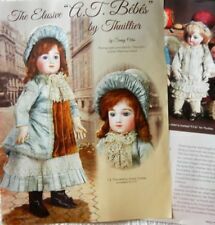 Antique Bisque French Bebe Dolls of Andre Thiellier (A.T.). It is an original, not a copy or reprint. Over the years they will provide facts not available on the open market. It is an original, not a copy or reprint. Fourteen original pages (not a copy) on high quality magazine-gloss letter-size paper are in excellent condition. Full color photographs, historical information and marketing background. Antique French Fashion Huret Doll & Her Clothing History. It is an original, not a copy or reprint. Over the years they will provide facts not available on the open market. Six original (not a copy) pages on high quality magazine-gloss paper are in excellent condition. Title : Dolly bird Vol.17. Language : Japanese. Attached Full-Scaled Pattern Sheet(unused). Condition of Jacket :Fine. This book is a secondhand book. Book Size : Height 11-5/8" ,Width 8-1/4". Condition of Item :Excellent. It is an original, not a copy or reprint. 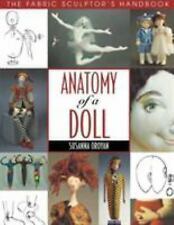 A great reference for MA Portrait doll collectors, owners and historians. Six original pages (not a copy) on high quality magazine paper are in very good condition. Title : Dolly bird Vol.7. Language : Japanese. This book is a secondhand book. Condition of Cover :Fine. (New / Excellent / Fine / Good / Poor). Book Size : Height 11-5/8" ,Width 8-1/4". Condition of Item :Excellent. Title : Dolly bird Vol.15. Needlework, Corsage, Tatting Lace and Doll's clothes. Language : Japanese. This book is a secondhand book. Condition of Jacket :Fine. (New / Excellent / Fine / Good / Poor). Tribute to Shirley Temple Black and her Antique Dolls. 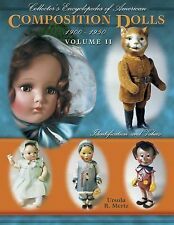 Valuable reference for antique Shirley Temple doll collectors, dealers, owners and historians. It is an original, not a copy or reprint. Over the years they will provide facts not available on the open market. Very rare book. new condition. Antique Rare 18th Century Peggy Lancaster Queen Anne Lady Doll. 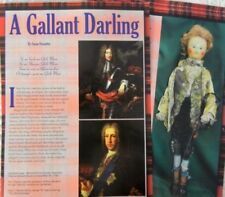 A great reference for Queen Anne doll collectors, owners and historians. It is an original, not a copy or reprint. Over the years they will provide facts not available on the open market. Includes 6 full page, full color plates of wood-bodied dolls of this period - all suitable for framing. It is an original, not a copy or reprint. A great reference for antique French fashion doll collectors, dealers, owners and historians. Beautiful color photographs. Comparisons are made between Schmitt and other antique dolls. I Have Several Available. Now It’s All Cold And Impersonal. They Are Also Great For Reference. It is an original, not a copy or reprint. A great reference for wedding doll collectors, dealers, owners and historians. Over the years they will provide facts not available on the open market. Five original (not a copy) pages on high quality magazine-gloss paper are in excellent condition. Antique China Dolls with Curly Hairstyles. It is an original, not a copy or reprint. 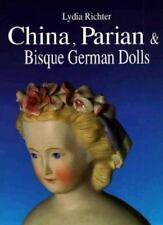 Rare reference for antique china doll collectors, owners and historians. Nine original pages (not a copy) on high quality magazine paper are in very good condition. Antique All Bisque Hertwig Dolls with Crocheted Clothing. 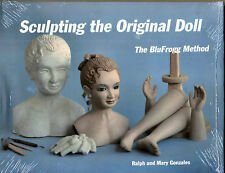 A rare reference for all bisque doll collectors, dealers, owners and historians. It is an original, not a copy or reprint. Over the years they will provide facts not available on the open market, especially for doll historians and researchers. Rare Antique French Clelia Cloth Dolls. It is an original, not a copy or reprint. Over the years they will provide facts not available on the open market, especially for doll historians and researchers. Title : Dolly Dolly Vol.11. Language : Japanese. Condition of Jacket :Fine. This book is a secondhand book. 80-90%: Fine. Book Size : Height 10-7/8" ,Width 8-1/4". Full-Scaled Pattern is written in this book. The book is in new/gift quality condition. There is a price guide & index with 46 color photos, 20 black & white and 8 drawings. 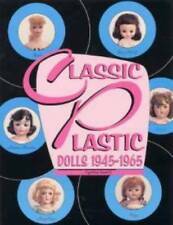 A great reference for Bubble Cut Barbie doll collectors, dealers, owners and historians. It is an original, not a copy. Six pages (not a copy) are produced on magazine weight paper and in very good condition. Title : Dolly bird Vol.23. Language : Japanese. This book is a secondhand book. Condition of Jacket :Fine. 80-90%: Fine. Book Size : Height 11-5/8" ,Width 8-1/4". 100%. Mint. Condition of Item :Excellent. Antique & Modern Black Cloth Dolls. It is an original, not a copy or reprint. Over the years they will provide facts not available on the open market. Eleven original (not a copy) pages on high quality magazine-gloss paper are in excellent condition. 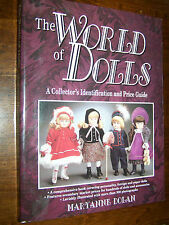 New ListingTwo Different Worlds Book of Rare German Dolls! Two Different Worlds Theriaults Book of RARE German Dolls! Antique Smiling Bru Empress Eugenie French Fashion Doll. A great reference for antique early Bru and Empress Eugenie doll collectors, dealers, owners and historians. Also includes a replica set of Eugenia paper dolls first created in the late 1850s. This rare book is NEW and SEALED with NO flaws. Check out the super-sized pics for a complete look. May the Peace of Jesus Christ be with you always! Mademoiselle Mignonnette, The Pocket Doll, 2 Vol. Predecessor of the pocket doll. French invention, these dolls have a history of which the details are not yet fully known. The Schmitt family and their porcelain baby-dolls. Charles Maurice Felix Keller and the Bébé Français. Title : Dolly bird vol.22. Language : Japanese. This book is a secondhand book. Condition of Jacket :Fine. (New / Excellent / Fine / Good / Poor). 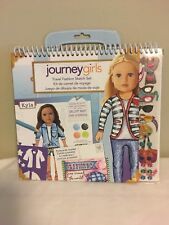 Book Size : Height 11-5/8" ,Width 8-1/4". Condition of Item :Excellent. Title : Dolly Dolly Doll Book 2014 Spring. Language : Japanese. This book is a secondhand book. 80-90%: Fine. Book Size : Height 10-7/8" ,Width 8-1/4". Full-Scaled Pattern is written in this book. 90-95%: Excellent. Hello - Up for sale: Barbie Bazaar Magazine - special Christmas Catalog Reprints Edition from 1969 - 1972. Great Magazine, in gently used condition. Sorry, we do not accept checks or e checks. It is an original, not a copy or reprint. Fourteen original (not a copy) pages on high quality magazine paper are in excellent condition. Also includes original pattern to make a dress for Sweet Violet and an uncut paper doll by Robert Tonner. Robert Tonner Nancy Ann Storybook Dolls. It is an original, not a copy or reprint. A must-have reference for doll collectors, owners, dealers and historians. Note: I have one original Debbie Mayfair dress left, the strapless dress illustrated in the 1st photo is listed. 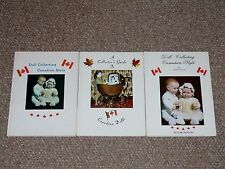 Pamphlet / Booklet Print ULTA RARE Canada / Hong Kong. Debbie and her original clothes were manufactured Hong Kong. A great reference for Nancy Famosa doll collectors, historians, owners. It is an original, not a copy or reprint. Full color photographs photographs and historical information. Lot of 8 Books on DOLL REPAIR, Restoration, Clothing, Costuming, Millinery, Dressing and Shoemaking. In good condition. May have a name inside front covers. Tear on cover of dj on Dressing Dolls. Antique German Papier Mache Dolls & Clothing. A must-have reference for antique papier mache doll collectors, owners and historians. It is an original, not a copy or reprint. 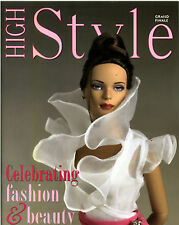 Six original pages (not a copy) and paper doll on high quality magazine-gloss paper are in excellent condition. A great reference for Isle Ludecke doll collectors, dealers, owners and historians. It is an original, not a copy or reprint. Nineteen original (not a copy) pages on high quality magazine paper are in excellent condition.